From the courtyard of a cafe in SS15, an area of Subang Jaya, that’s becoming trendy with a growing student population. Bits of this watercolour work and others don’t. It’s a pity the bike was so central but that’s just how it was. 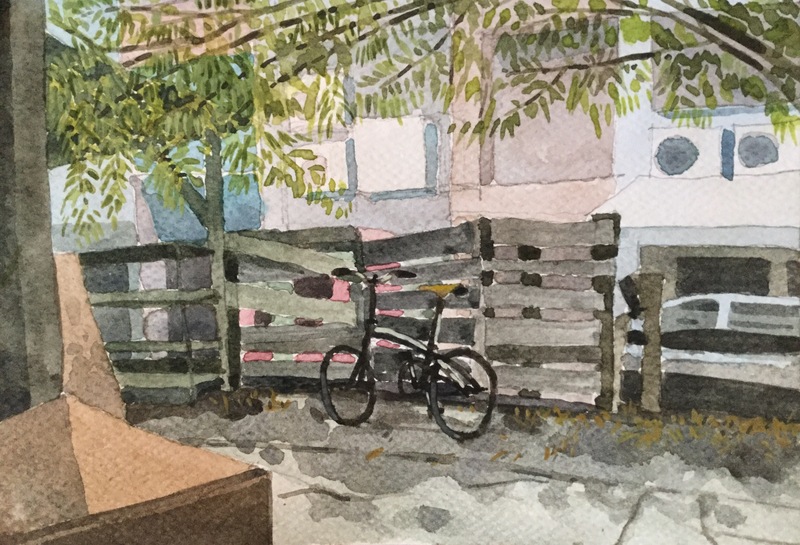 The intention was to capture the bamboo and shade but I got lost in shop fronts, the broken fence and the technical bits of the bike all becoming a distraction. I should have left the bicycle out but then how could I? Back to the larger A5 format and hence the attempt at further detail.